Coming up with completely novel products for the annual watch fairs can’t be easy. Most of the time, brands – including Patek Philippe – merely go through complication or colour permutations and then call it a day. This year, however, the prestigious Geneva watch manufacturer has managed to come up with something unusual to say the least. It has got the watch congnoscenti waxing lyrical for three reasons: 1) a new complication, 2) a rare case material, and 3) an unorthodox typography. Here, we bring you the details and our thoughts on the new Calatrava Weekly Calendar Ref. 5212A. The case of the Ref. 5212A is cold-formed with high-tonnage presses and then meticulously hand-polished – not a simple task given its many sharp edges and angles. Its design was inspired by the Ref. 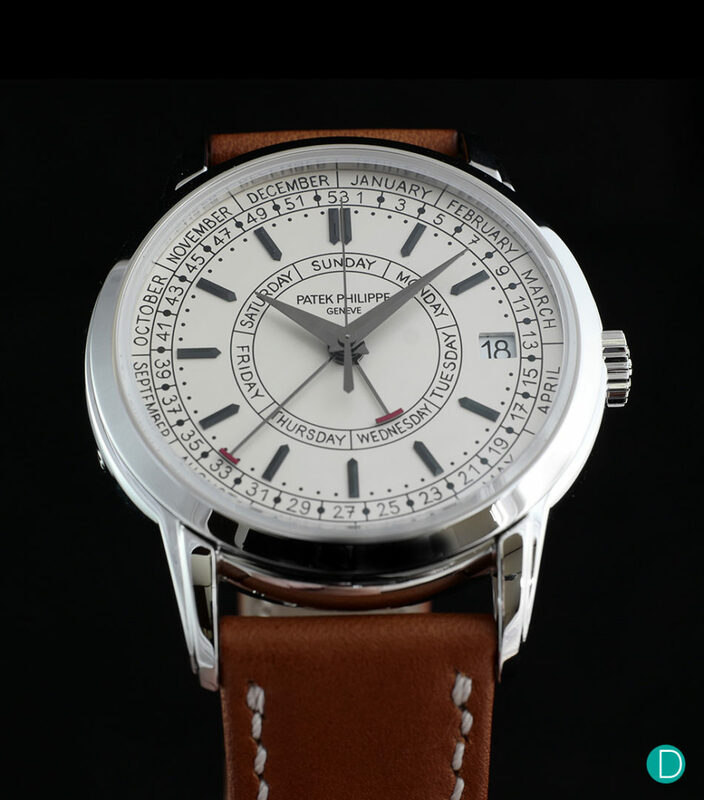 2512, a piece unique made in 1955 and currently held in the Patek Philippe Museum (note the numerals in the reference numbers of both watches). The vintage vibe of the watch is further emphasised by a box-type sapphire crystal glass and the two-tiered lugs. But what will really get the collectors among us excited is the fact that the case is crafted in stainless steel, a real rarity in the Calatrava line. At 40.00 mm x 11.18 mm, the watch should wear with proportion and security on most wrists. That said, we can’t help but feel that it would look better with a few millimetres shaved off on both directions. It is, after all, a Calatrava, meant to be the most elegant watches in the watchmaking world. The stainless steel case of the Ref. 5212A is highly nuanced in its construction, with plenty of steps and edges. The dial (in silvery opaline) is undoubtedly the Ref. 5212A’s most interesting aspect. It displays the date, day, week number, and month. The date is displayed in typical fashion, through a discreet aperture at 3 o’clock. Meanwhile, the day of the week is displayed on a circular scale in the middle of the dial, and indicated by a hammer-shaped hand with a red hammer head. A second hand of the same design delivers week number and month readings on two other concentric scales at the dial periphery. Telling the time are two dauphine hands in blackened white gold and a lancet hand – also in blackened white gold. The applied baton indices in the same material mark the hours; they feature four lapped facets that interact beautifully with light. The weekly calendar display isn’t the only thing novel about the Ref. 5212A; the typography created explicitly for the watch is based on one of the manufacturer’s designers and is absolutely unique. Printed in black, they add a very personal note to the dial of the reference. It, however, has also become a source of polarising opinions, with some in the watch community condemning it as “unclassy” or “unbecoming of the Calatrava” while others praising it for its charm. The dial of the Ref. 5212A is fascinating. Its five central hand configuration is a rarity. Driving the Calatrava Weekly Calendar Ref. 5212A is the new Calibre 26-330 S C J SE. Based on the self-winding Calibre 324, its calibre designation reflects its diameter of 26.6 mm and height of 3.3 mm. The 304-part, 50-jewel movement has a maximum power reserve of 45 hours and operates at a modern 4 Hz beat rate. It sports several innovations and optimisations that improve performance and reliability, specifically involving the centre seconds and self-winding mechanism. The Calibre 26-330 S C J SE as seen through the sapphire crystal case back. To display the day of the week and the number of the current week, Patek Philippe developed a totally new, semi-integrated mechanism with a height of 1.52 mm, containing 92 parts. A 7-point star on the hour wheel in the centre of the movement controls the day-of-the-week display. Via a lever, a second 7-point-star with an extended Sunday tip drives the 53-tooth week wheel. The calendar displays advance semi-instantaneously in discrete steps to avoid energy consumption peaks, which is detrimental to timekeeping. Corrections for the day and week number displays are performed via recessed pushers on the flank at 8 and 10 o’clock, while the date can be corrected through the crown. Thanks to a fail-safe system, the user can perform such corrections at any time of the day without damaging the movement. In accordance with the international ISO 8601 standard, Patek Philippe chose Monday as the first day of the week rather than Sunday, which is commonplace in some countries. The first week of the year is the week that includes the 4th of January. The 53-graduation scale considers years with an extra week. This is the case every 5 to 6 years, and the next occurrence is in 2020. As to be expected from Patek Philippe, the finishing afforded to the new Calibre 26-330 S C J SE is stellar. 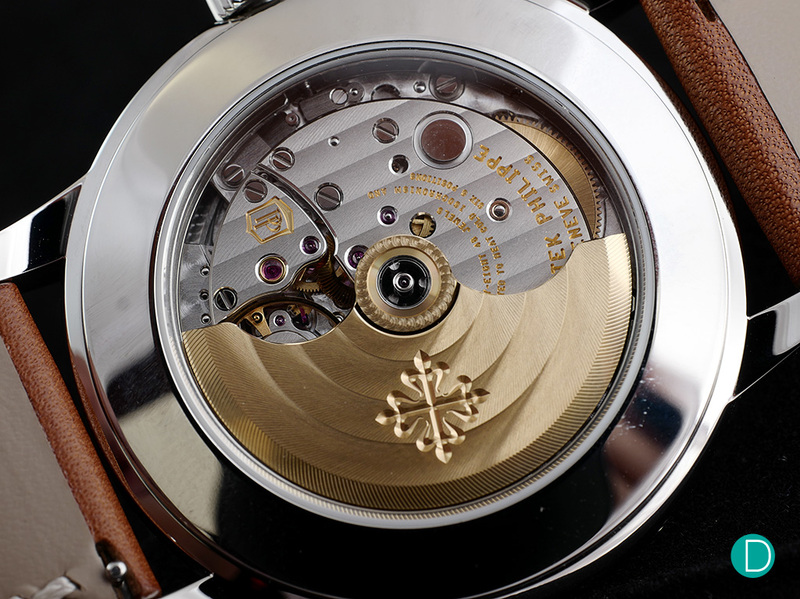 Through the sapphire crystal case back, the usual hallmarks are visible: circular waves on the central, 21K gold winding mass; Geneva waves on the surface of plates and bridges; chamfered and polished edges; polished screw heads; and perlage on the base plate, among other things. Weekly calendar watches are as rare as they get. Patek Philippe’s new Calatrava Weekly Calendar Ref. 5212A ticks all the right boxes for it to be a rousing success. Rare material? Checked. Rare complication? Checked. Unique typography? Checked. The watch is priced at CHF29,500. So, “low” entry price point? Checked. Those interested should expect a wait list, unless you’re as famous as Ed Sheeran. The watch is matched with a brown calfskin strap with white seams for a more casual feel. But for those who are just looking for an amazing calendar watch, there are plenty of fish in the sea. One watch that should never be overlooked is the Jaeger-LeCoultre Master Ultra Thin Perpetual Calendar. The perpetual calendar in theory does not need adjustments until the year 2100. While not necessarily more practical than the Ref. 5212A’s weekly calendar, it certainly is more sophisticated. 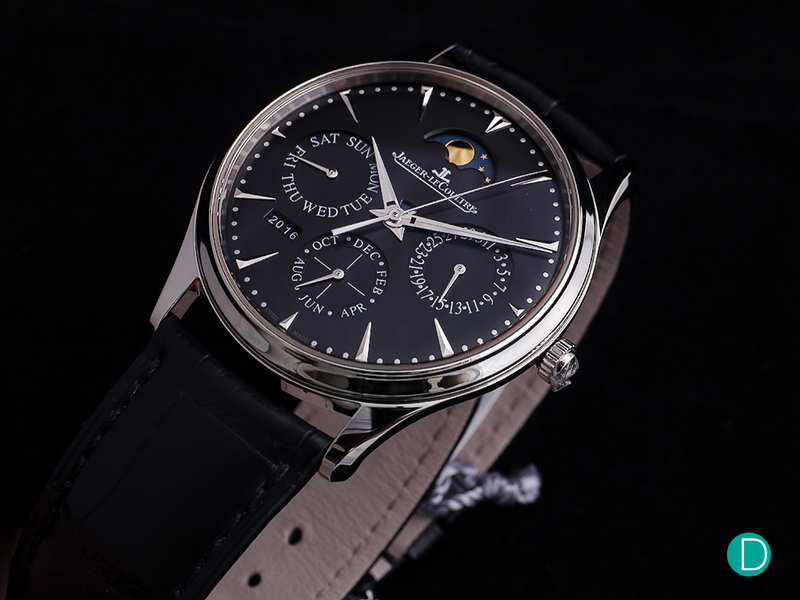 The Master Ultra Thin Perpetual Calendar also comes with a moon phase and year display. At 39.0 mm x 9.2 mm, it is perfectly sized, and a testament to the skills of the manufacturer’s watchmakers. The stainless steel version of the watch retails for around USD20,300, which is almost a third less than the less complicated Ref. 5212A. This discrepancy can easily be explained, however. The finishing of the Master Ultra Thin Perpetual Calendar is not nearly as immaculate as that of the Ref. 5212A, especially in the movement department. If this isn’t an issue for you, or the fact that the Ref. 5212A is much more collectible, then the Master Ultra Thin Perpetual Calendar is more than a fantastic alternative. The Jaeger-LeCoultre Master Ultra Thin Perpetual Calendar is one of the most celebrated watches inside the watch community for its amazing value for money. But where to, when finishing is paramount? 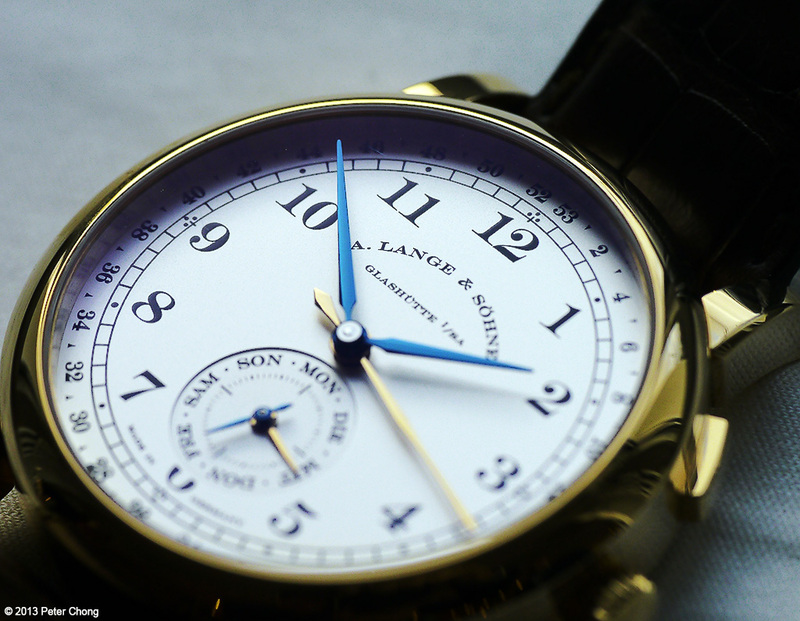 Look no further than the A. Lange & Söhne 1815 Annual Calendar. While annual calendars are a peg down in complexity compared to the perpetual calendar, they are virtually as convenient to use, needing only one correction a year. Annual calendars are practically discount perpetual calendars (as much as brands hate to say it out loud), and it’s actually not a bad thing since it attracts its own sizable market. 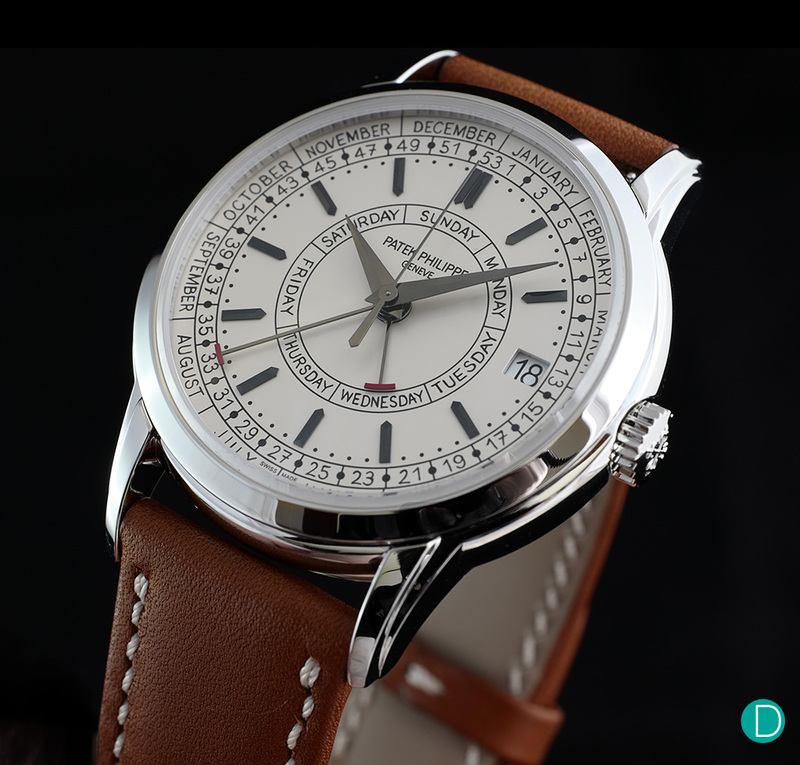 Patek Philippe may have come up with the first annual calendar wristwatch in the world, but it is Lange who have made the most well-finished ones. 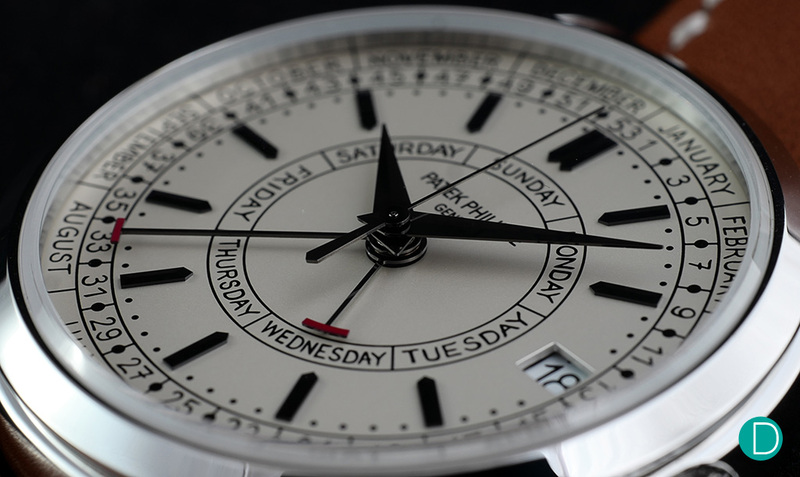 The manually wound 1815 Annual Calendar in white gold is priced at EUR38,300, which is a third more than the Ref. 5212A in stainless steel. Its pricing is comparable to its equivalents by Patek Philippe although the finissage is objectively superior. 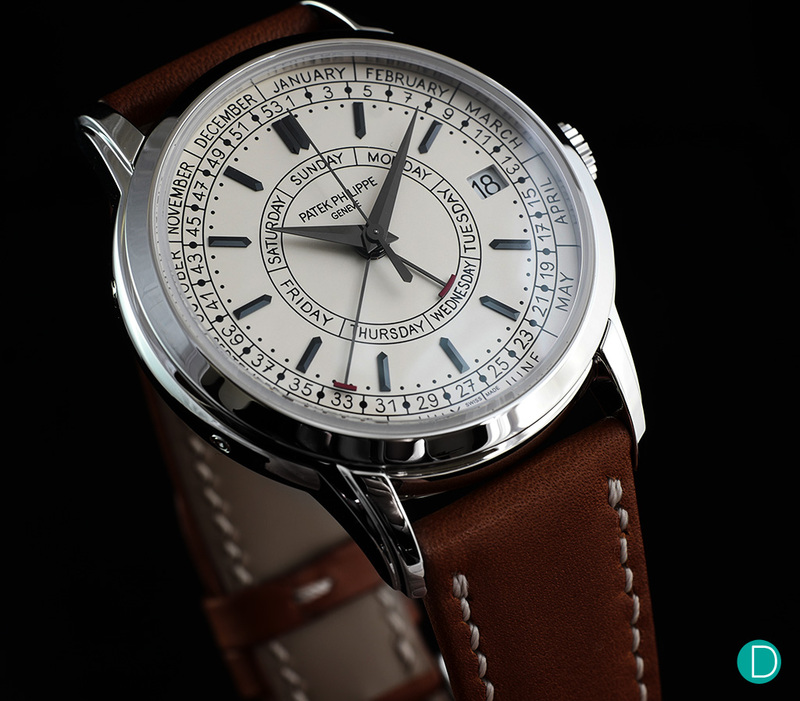 Unlike the Jaeger-LeCoultre or the Patek Philippe, the 1815 Annual Calendar is hand-wound. 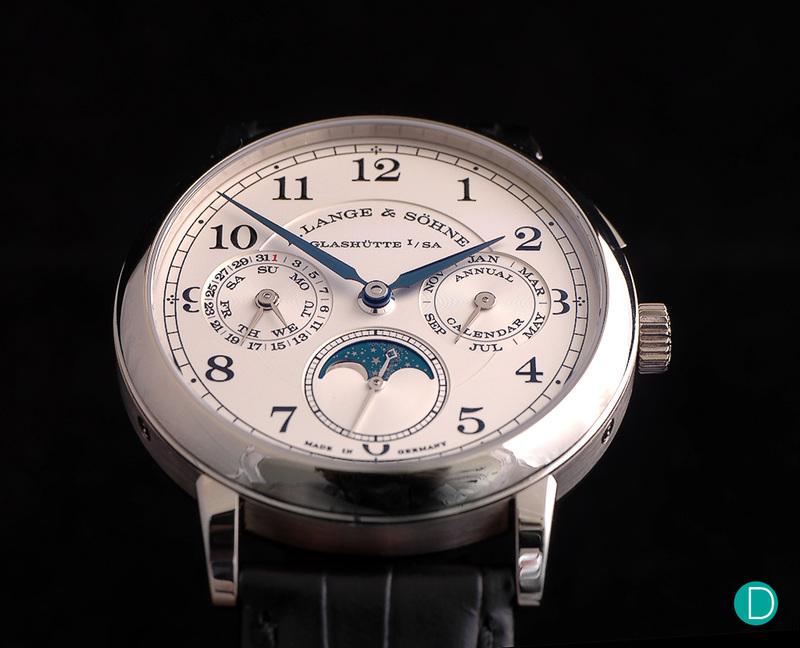 Interestingly, A. Lange & Söhne themselves once had a weekly calendar timepiece in their catalogues. The 1815 Kalenderwoche, produced in yellow gold, pink gold, and platinum, was a limited edition piece that debuted in 2006 for the 150th anniversary of renowned German retailer, Uhren Haber. The watch displays the week number, day of the week, as well as the time. It does not display the date nor the month, like the Ref. 5212A does. Obviously, the watch is long discontinued, but a 2008 auction held by Christie’s saw the watch sold for the equivalent of EUR28,000. A. Lange & Sohne 1815 Kalenderwoche. The Calatrava Weekly Calendar Ref. 5212A is a genuinely interesting timepiece. There hasn’t been one as fascinating as it in years. While the week number function is, at best, only ever useful to those in the financial or government sector, it is still another feather in Patek Philippe’s burgeoning cap. Collectors will naturally be dying to get their hands on this highly novel, stainless steel Calatrava. How the Ref. 5212A will go down in history, only time will tell for sure. Our guess is, it will be one for the hall of fame.